Our optometrist told us our baby could not see. Today the only thing clouding his vision is his hair. When your baby is born, you check fingers and toes and schedule regular pediatrician checkups to make sure that your child is perfect and healthy. But did you know that your baby should have its first comprehensive eye exam as early as 6 months by an eye doctor? Shaw Coat’s mother, Mary, noticed her baby’s eyes seemed to wander a little bit, but according to the pediatrician and parenting books, that was normal and to be expected as his eyes developed. 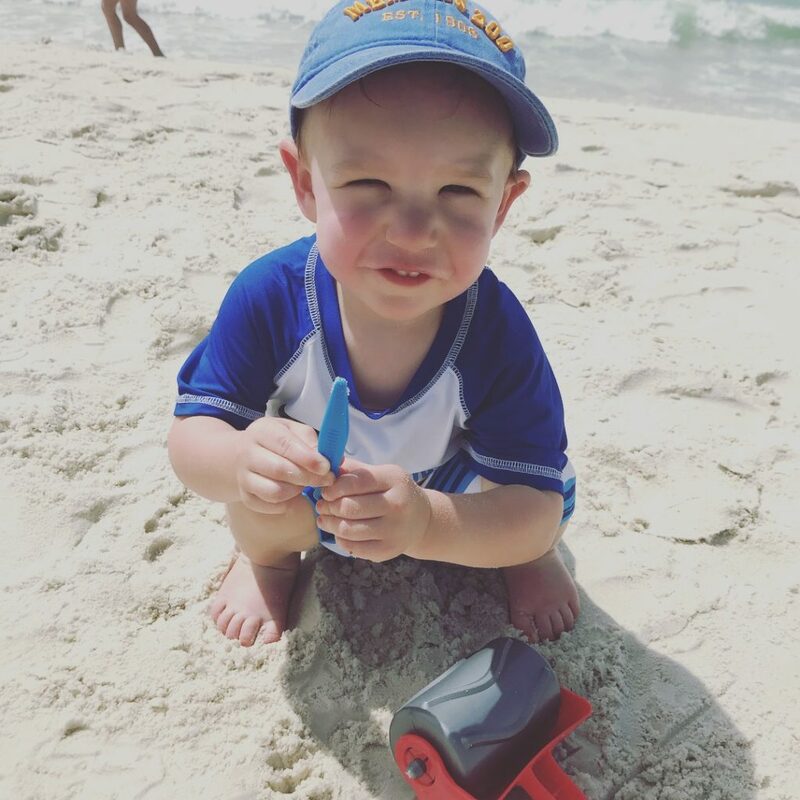 However, at 8 months, when Shaw’s left eye was noticeably and consistently crossed, Mary called her family eye doctor, Dr. Amy Crigler, for an appointment. A comprehensive eye exam revealed Shaw had a congenital cataract in his right eye, clouding its vision and causing the amblyopia in his left eye. Dr. Crigler referred Mary to an ophthalmologist, and a couple of months later the clouds in Shaw’s eye were gone. As post-treatment, Shaw wears a patch for two hours a day to strengthen his left eye. These days, Shaw is a sweet, rambunctious 2-year-old who loves to play and laugh. He also has perfectly normal vision thanks to Dr. Crigler’s thorough exam and quick referral. Did you know that your baby should have its first comprehensive eye exam as early as 6 months by an eye doctor? Shaw’s parents may not have known that a comprehensive eye exam is an important part of a baby’s wellness plan, but they now make sure the whole family sees Dr. Crigler for a comprehensive eye exam every year.